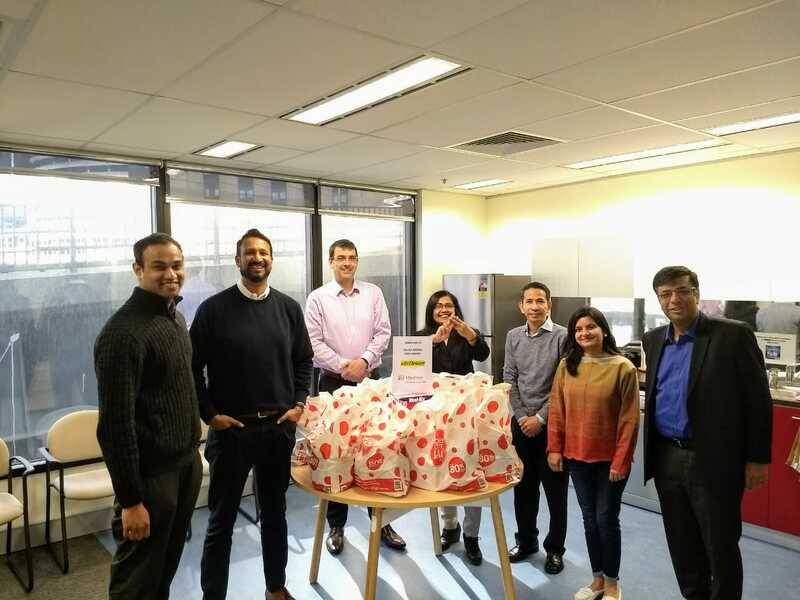 Mindtree Australia team had a successful Charity Food Drive to mark Mindtree’s 19th Anniversary. 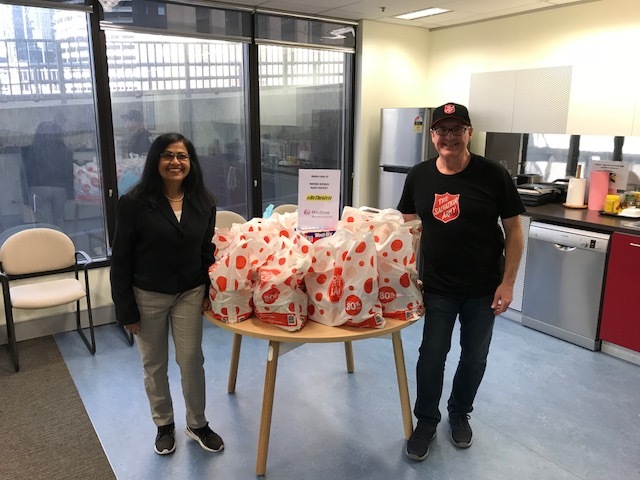 The team chose to support the Salvation Army, who runs a program called Hope Pantry which feeds the homeless population in Sydney. 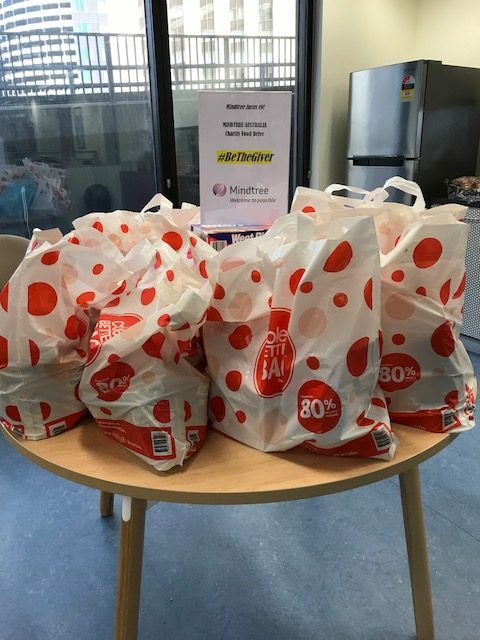 Mindtree Minds purchased foodstuff that was required as per a list provided by Hope Pantry.